Source: Garten, Ina. Barefoot Contessa Parties! Ideas and Recipes for Easy Parties That Are Really Fun (New York: Clarkson Potter, 2001). 01. Rim half of the glass by rubbing the outside of the rim of six glasses with the cut lime and dipping one side of each glass lightly into a saucer of kosher salt. 02. Combine the lime juice, lemon juice, Triple Sec, and ice in a blender. Purée until completely blended. 03. Add the tequila and purée for two (2) seconds more. Serve over ice. 04. For frozen margaritas, adjust proportions as shown and blend in two (2) batches. Serve with a cut lime. 1 Source: Garten, Ina. 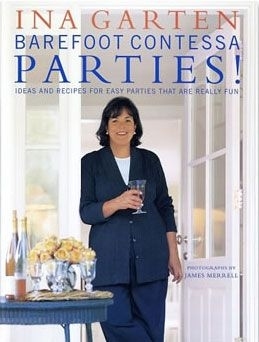 Barefoot Contessa Parties! Ideas and Recipes for Easy Parties That Are Really Fun (New York: Clarkson Potter, 2001).